If using a GPS-enabled device can prevent you from getting lost, just think what it can do for your marketing messages. Location-based marketing -- that is, using global-positioning technology to send geographic-specific business marketing to consumers over their mobile devices, is a large and growing opportunity for businesses of all sizes. That was the consensus among panelists of "How Location-Aware Mobile Technology is Transforming Retail," a session during an event this week hosted by "hyperlocal" business publication Street Fight. Knowing a consumer's location, as well as the time they're at a specific location, is the best predictor of his or her intent to buy, said Alistair Goodman, CEO of Placecast, which offers the ShopAlerts service, delivering retailer offers to consumers over their mobile phones. Whether by developing mobile apps or creating text message-based marketing campaigns, businesses should be "tailoring their offers to combine a consumer's interests and location in order to drive traffic to their stores," Goodman said. Based on his experience, ads and offers that integrate time and the consumer's location generate two to 10 times the amount of business than a generic ad, he said. While businesses can implement location-based marketing into apps, Goodman said Placecast focuses mainly on text messaging -- short messaging services and multimedia messaging services. "We've seen that over 90 percent text messages get opened and read in three minutes or less," he said. "This allows you to reach as many people as possible." Meanwhile, Jonathan Bellinger, digital strategy director marketing communications firm JWT New York, admitted that there often is a gulf between larger companies that implement location-based marketing campaigns in order to be the "thought leaders" and smaller firms with smaller margins that aren't seeing location-based marketing drive sales yet. "Large-scale adoption won't take off until businesses get more creative and offer additional value," he said. "Deals and coupons [over sites such as Groupon and Living Social] are a good hook to get people interested, but they get old pretty quickly [and don't always result in repeat business]." Allow customers to opt in. Not everyone is going to want to disclose personal information such as their interests and their location, he said. Be transparent. Once a customer has opted in, make sure to explain exactly how you plan to use the personal information you collect from them, assuaging any concerns over privacy issues, he says. Don't resell their information. While you might be tempted to sell the information you collect from customers to third-party companies, Goodman warns against it. "Consumers will most likely see more value to your service if it's not advertising-based and should be more willing to share their personal information with you. Make it easy to opt out. Don't lock customers into a program they decide they don't want to be in, he said. Just like any level of customer service, it's all about keeping customers happy, loyal and making purchases. 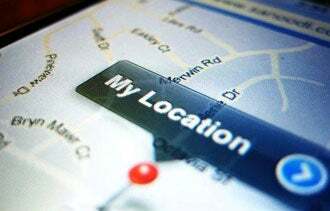 What tips do you have when it comes to using location-based marketing for business? Let us know in the comments section below.